i decided to get my craft on today. i wouldn't say i love valentines day, but i do really love valentine decorations. i'm not sure where this love comes from, but it's there. so today i decided to craft something up to put in our house. 1. i didn't use a stencil or anything to trace because i like the idea of them not all being the same exact shape/size, but feel free to use one if you want. 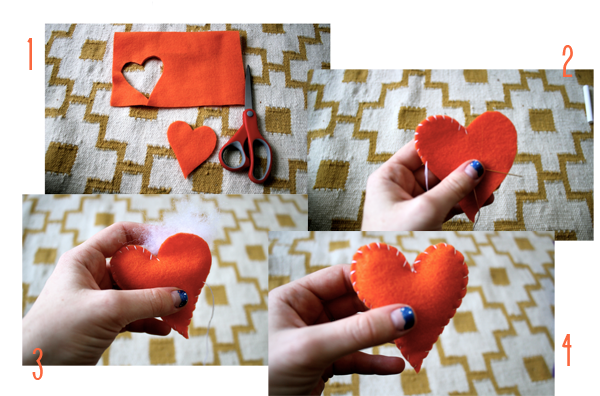 i folded over my piece of felt, drew a heart with a piece of chalk (it wipes away super easily) & cut it out so the two pieces would match up. 2. i'm not good at sewing, so i hand stitched these little guys. it was really easy & pretty quick to do. 3. i bought a small thing of blanket batting & pulled it apart to stuff inside my little heart. there's no right amount, just stuff away till your heart is as puffed up as you want it! 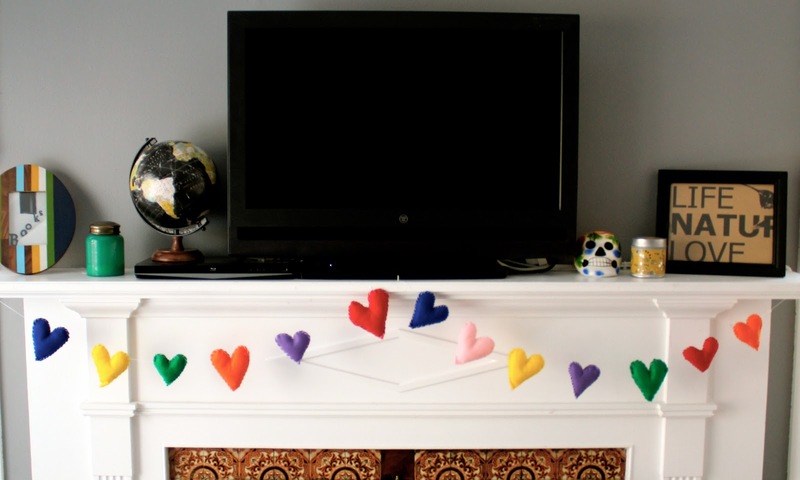 so instead i strung them together to make a heart garland instead! So cute! I'm going to copy!! cute!!! i just bought one from target, but yours is way cuter.